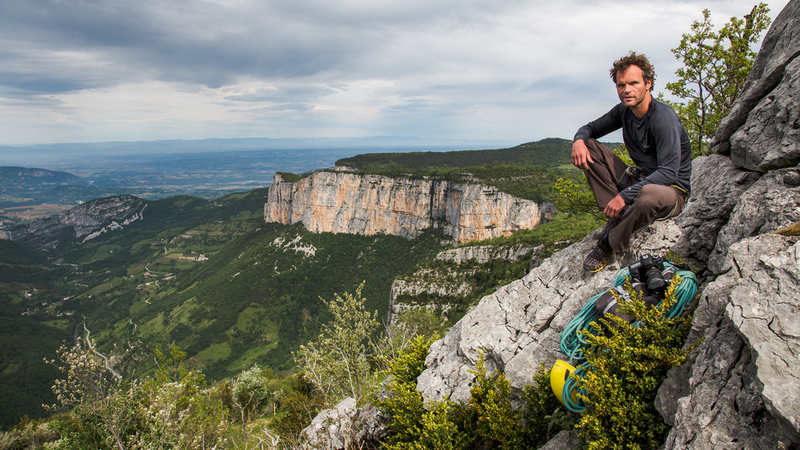 A portrait of Climbing Photographer Martin Fickweiler in Presles, France. At the end of May I was asked to photograph the well known Dutch Bigwall Climber and Climbing Photographer Martin Fickweiler. I went there with my partner Sanjhana as we had to climb a multi-pitch route to photograph Martin during his work. The photographs I took are now published in the magazine of the Dutch Mountaineering Association (NKBV). The photos will be used as well in the book climbing "Multi-pitch Climbing in Europe" that Martin currently pulbished. The book will contain a selection of the best Multi-Pitch Climbing in Europe. Het Engelstalige boek 'Multi-pitch Climbing in Europe' van 288 pagina's (17x24 cm) bevat beschrijvingen, foto's en verhalen over de meest spectaculaire multi-pitch klimgebieden van Europa. Meer over het boek en bestellen kan hier. Older PostLimited Edition Book: "Nepal, the duality of survival and beauty"